Once you have a strategy and develop your game you have to give it tune ups to keep if fresh. Here are some tips on keeping your Blackjack game strong. 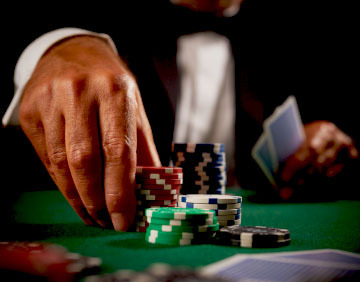 One of the most important steps taken by a blackjack player is learning basic blackjack strategy. This immediately reduces the house edge, or the amount the player should lose to the casino over time. 2. Learn the Hi Lo card counting system. Throughout your lifetime as a blackjack player you should learn a few card counting strategies, the Hi-Lo strategy is the most basic strategy and therefore the easiest to learn. Keep track of both your wins and losses by writing them down in a notepad or a file on your computer. Win’s and losses are how you keep an eye on your game and track your performance. If you’re losing often you may not even be aware of it if you’re not keeping track of your performance. You may also be in denial but if you’re looking at a record of your losses then it’s not so easy to ignore. When you’re keeping track of your performance you can spot a problem in your game a lot faster and work to improve it. Playing below your usual stakes lets you test your discipline levels. A lot of players will play more carelessly when their not playing for stakes that interest them. For instance you might get another card when ordinarily you wouldn’t because the hand only costs $5 dollars. But event though the stakes may be lower doesn’t mean it’s free and you could still lose so practice disciplining yourself. Play your best game even if the stakes aren’t best. Find someone you know like a friend or relative that doesn’t know how to play and teach them first how to play blackjack then basic strategy and finally card counting. Teaching other people how to play the game helps your game by reinforcing your skills. As you teach someone basic strategy you may remember something you haven’t utilized in a while. Not to mention you could master a skill, it can be a lot easier to master something when you have to teach it to someone else or learn something new. Just because their new to the game doesn’t mean they may not have a talent for it and you never know they may teach you something new. When you play a game above your usual stakes it’s another way of testing yourself and how you play. If the stakes are much higher then you’re used to you may make the wrong decision or a more conservative play then what you would typically do because you’re concerned over the stakes. This can actually make you lose more money so you need to learn your weaknesses before you head to the table. We recommend 888 casino as the best online casino for blackjack players.